మహీంద్రా స్కార్పియో 4 వేర్వేరు రంగులలో అందుబాటులో ఉంది - Pearl White, Molten Red, Napoli Black, Dsat Silver. 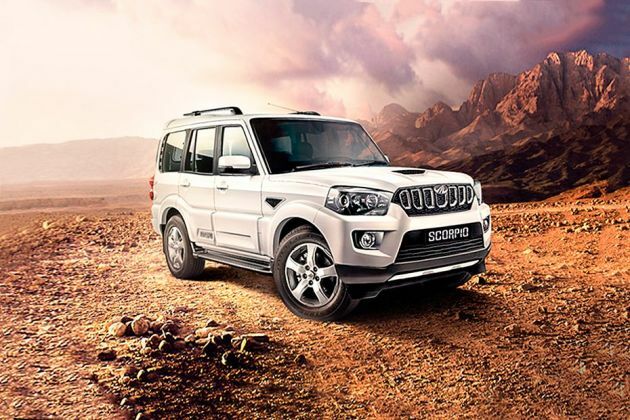 Mahindra Scorpio a very good car for long drives but not so safe. It is an awesome car when we drive it it looks like we're driving a sports car. This car is the most amazing and powerful. This car is the king of Mahindra & Mahindra. My best car.It is very comfortable while traveling on long tours. It's an amazing car with dashing interiors. Its adventure model is best of all other models. It is always my favorite car thank you. మహీంద్రా స్కార్పియో వేరియంట్స్ - ఉత్తమమైనది ఏదో తెలుసుకోండి! !